The first release within this series, Grumpy is captured in a way on Grumpy can be! Whilst creating Grumpy, Carlton was keen to further explore this new direction he had embarked on with his paintings but knew the “huff and puff” of Grumpy had to jump off the canvas. “Creating the attitude of Grumpy was both the most challenging and rewarding part of painting this piece” commented Carlton. 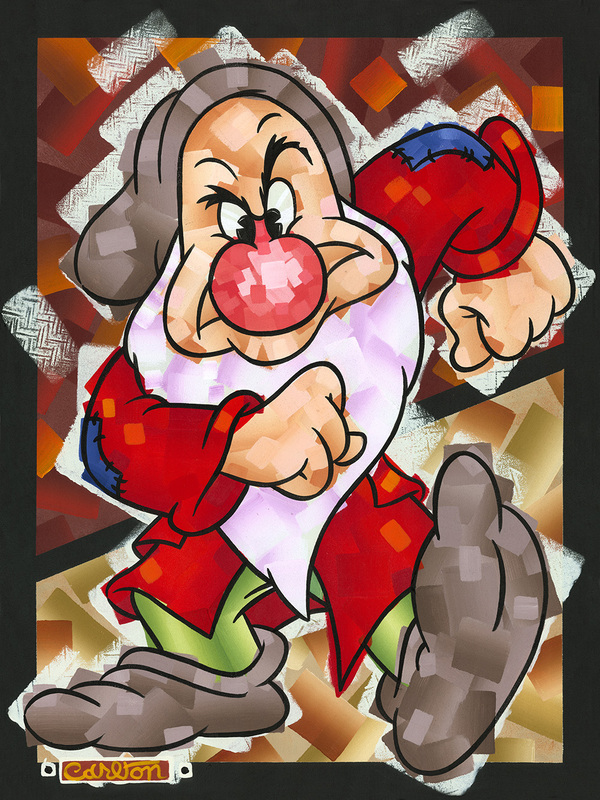 Grumpy is such a loved character with the most wonderful expressions, does that remind you of anyone?